For a long time I was wondering about the fantasy that revolved around Peanut Butter sandwich. The books I used to read as a kid always had this mentioned as one of the items the children in the book used to take for their picnic. Imagine always reading about such delightful items and wondering how these might actually taste when we make in our kitchen. Until few years back, I never really looked into how you make a peanut butter. When I first checked on how this peanut butter was made, I was really surprised. 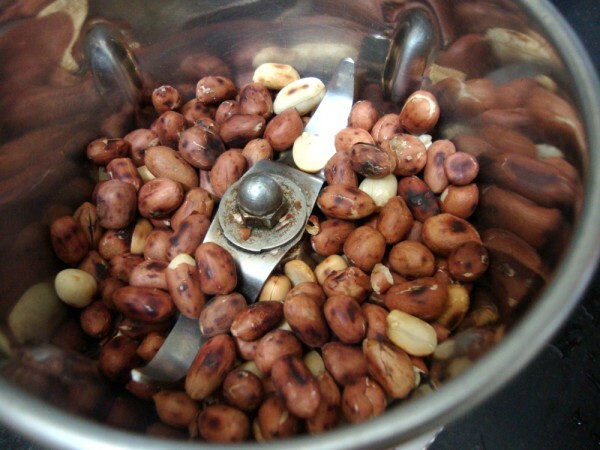 Groundnut/ Peanut is such a common item in our household. Peanut powder is always stocked. And all it takes for this butter is to process for some more time, you get this wonderful spread. Roasted peanuts are always stocked at home for the eternal Groundnut chutney that gets done for Idli/ dosa. So I just used the roasted peanuts to make this butter. Else you can buy the ready made roasted peanuts. To make it more healthy I didn’t skin the peanuts. You can even add chocolates to make it more interesting for the kids. Pulse it couple of times, then stir it using the spoon. Add sugar or salt for taste. 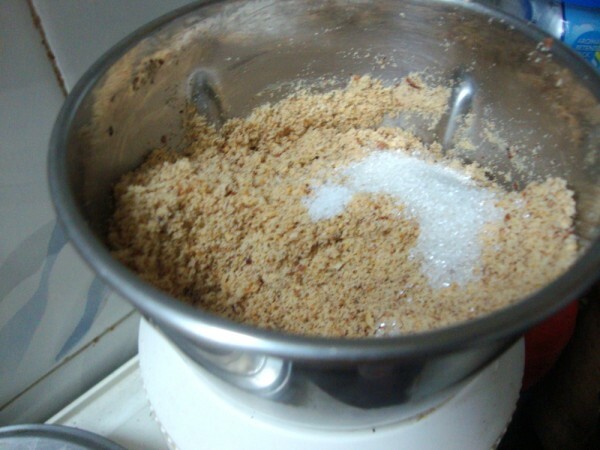 Add 1 tsp oil to get the peanut to run smoothly. This is after 15 mins of pulsing it in intervals. See how creamy it ended up! Final spread after finishing the entire pulsing process. 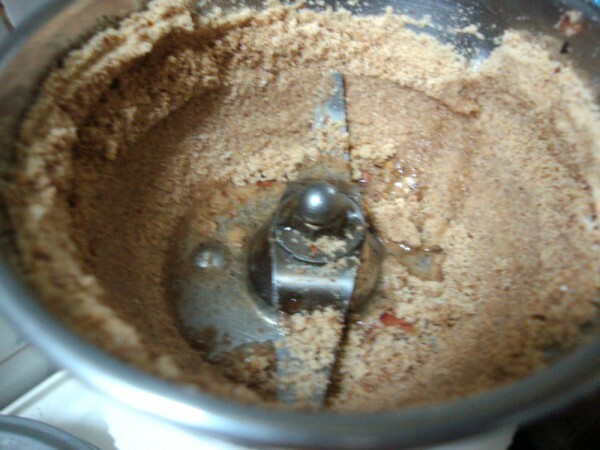 Take the roasted peanuts in a mixer with steel blades. Pulse it couple of times to make sure the nuts crack down. Add the salt or sugar. I added both and it was tasting great. If you prefer you can add either or both. Pulse it again, continue pulsing by adding 1 tsp of oil. this makes sure the peanut runs smoothly. Make sure you don’t run the mixer continuously. Allow it to rest couple of minutes, else the mixer will get heated up. 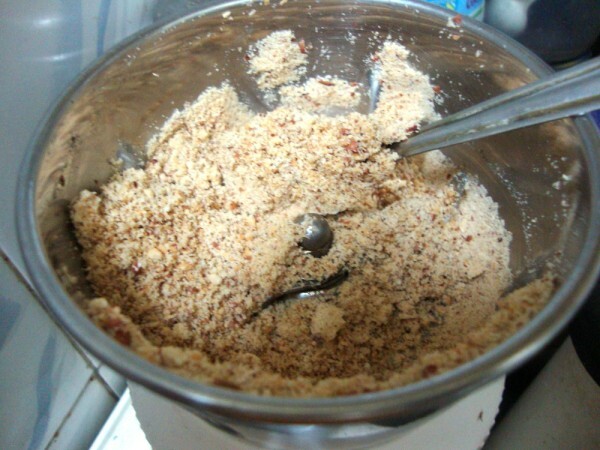 Blend it till you get that creamy spread, add 1 more tsp to make sure the spread is smoothly moving around. Scoop everything in a tin and store. 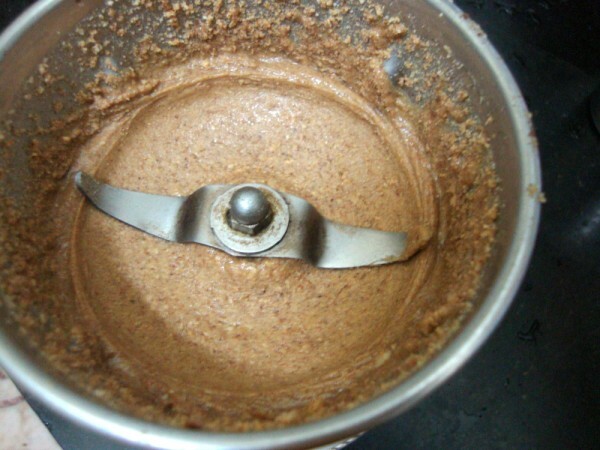 If you want a nuttier spread, add a tsp of peanut in the final stage, you will end up with nutty spread. Make it more delicious by adding chocolate bars in the end. You will get chocolate peanut butter, which as you know will be delicious and sought more by the kids. Trim the ends of the Bread Slices, spread as much as you would want on the top and cover it with another slice. Cut into desired size and serve it right away or pack for lunch. Sending this to Kamalika, who is hosting this month’s edition of Kid’s Delight, themed on No Fire Cooking for Kids. Super yummy peanut butter! 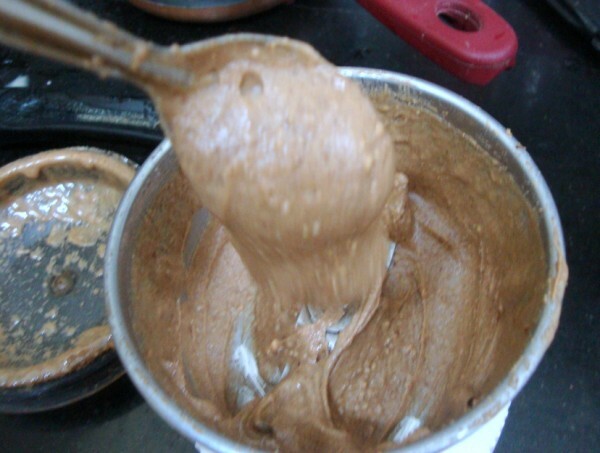 wanna try this soon..
Will try soon making peanut butter.Looks very delicious!!!! 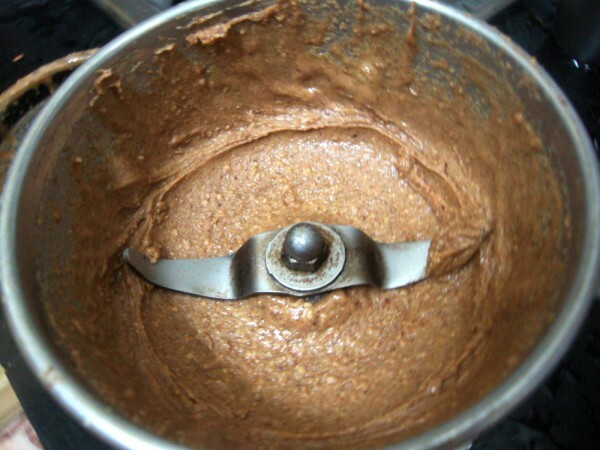 I too made this once and almond butter too….very easy recipes! nice…. An absolute favorite with Lil Angel and me. We love the chunky type. I have posted this long back but urs look nice with the step by step procedure. Its so tempting…. 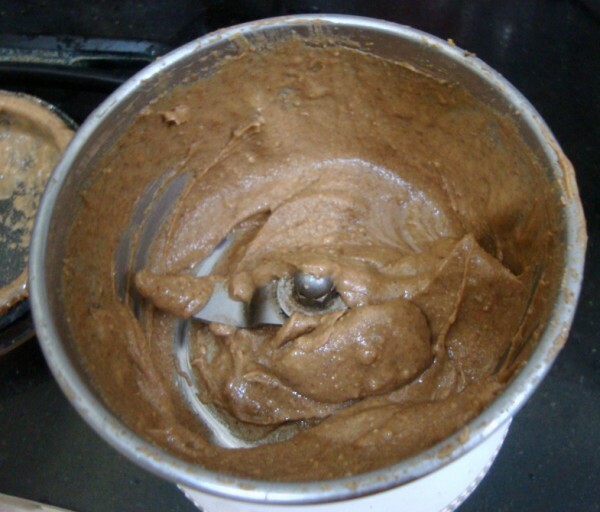 lovely recipe..i love peanut butter…i have a recipe too in my blog..
yum yum delicious peanut butter. Thanks for sharing. 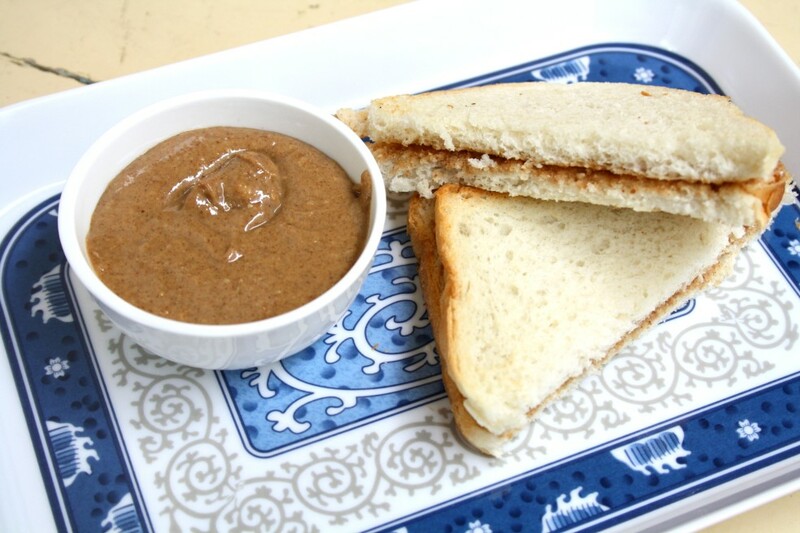 Valli..my neice had been asking me to try peanut butter since some time now..n now I have the perfect recipe…thnx dear. yummyyy….. u got the right texture and color… bookmarked this. I love peanuts, but did not like store-bought peanut butter for a long time until I tried the organic one which tastes delicious. May be I can make some home going forward. Thanks Valli. 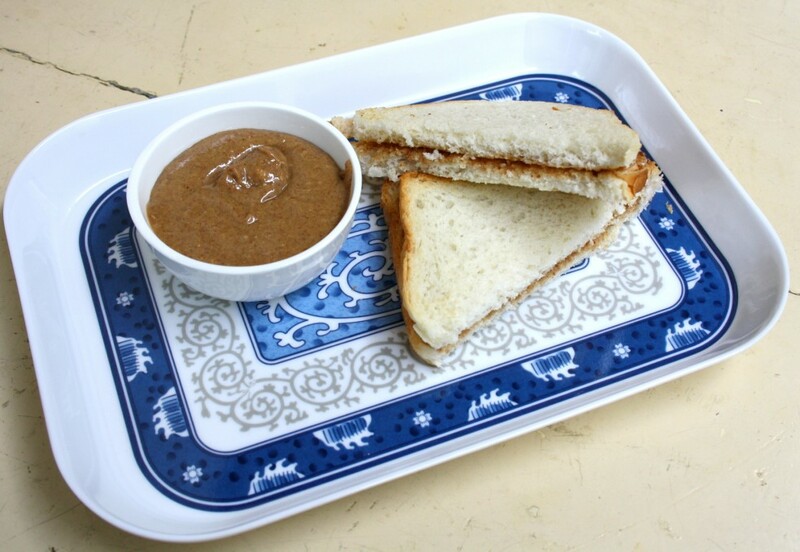 My kids crave for peanut butter sandwiches every now and then and I rely on the store bought peanut butter.Wonder why I never got around making it at home!! Nothing will beat homemade spreads or preserves, excellent..